Why would I need self storage in Pacheco, CA? There are a variety of reasons why you might need self-storage in Pacheco, CA. How much is a storage unit in Pacheco, CA? The cheapest storage unit in Pacheco, CA is $105.00 per month. What size storage units do you have available in Pacheco, CA? In Pacheco, CA we have sizes that range from 6'x6' to 10'x30' to suit your storage needs. How much is it for a 6'x6' storage unit in Pacheco, CA? The cheapest 6'x6' storage unit in Pacheco, CA is $105.00 per month. 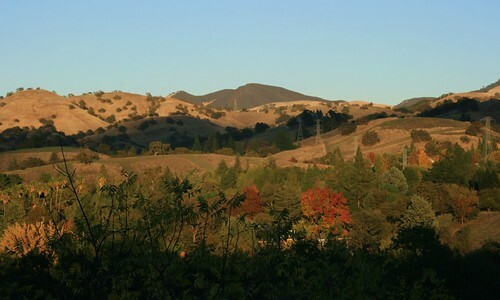 Located in Contra Costa County, Pacheco is an unincorporated community with centuries of history. The small community is a relatively short distance from the major cities of Oakland and San Francisco, so making day trips into the big city is easy and convenient. Pacheco is home to a large Hispanic community, and a mix of families, young couples and singles lives in the area. The area's first inhabitants were a tribe of the Bay Miwok, and Spanish settlers later moved into what's now known as Contra Costa County in the early 19th century. American settlers began to form communities in the Pacheco area starting in the mid-19th century. The town was originally laid out by Dr. J.H. Carothers in 1857, who named the town for Salvio Pacheco, the grantee of the Mexican land grant. Pacheco slowly grew, becoming a commercial center for a short time in the early 20th century. In the second half of the 20th century, many people left Pacheco for nearby Concord. Pacheco and Contra Costa County are home to many oil and gas producers, health care facilities and security organizations. Tesco Golden Eagle Refinery, Chevron and Shell Oil Products are major employers throughout Contra Costa County. Kaiser Permanente, Contra Costa Regional Medical Center and John Muir Medical Center provide thousands of health care jobs as well. The Concord Naval Weapons Station is a major employer in the area, providing a variety of both blue- and white-collar jobs. In Pacheco and the East Bay Area, the largest industries include trade and transportation, professional and business services, education and health services. The Walnut Creek School District manages Pacheco's elementary schools, and its high schools are supervised by the Mount Diablo Unified School District. Utilities: The Contra Costa Water District manages residential water supply for most areas of Pacheco. The area's central energy provider is Pacific Gas and Electric. Garbage and Recycling: In many areas of Pacheco, curbside collection of trash is provided. Transportation: There are a few bus stations throughout the city, and you can connect to Bay Area Rapid Transit (BART) to access the larger Bay Area. If you're looking for Pacheco's largest and most desirable homes, focus your search along Morello Avenue and near Hidden Valley Park. The community's most affordable homes are typically situated along Alhambra Avenue and Pacheco Boulevard. In Pacheco, the median home value is fairly affordable when compared the median in larger cities in the Bay Area. Our lowest priced units in Pacheco, CA average $105.00 per month. 96 people have reserved units in Pacheco, CA in the past 30 days. There is 1 location within Pacheco, CA's city limits.